Cool off this summer & enjoy these refreshingly easy fruit smoothie pops, with an added protein boost! Cool, creamy, and delicious– the whole family will love them. We are pumped that summer is right around the corner! The weather is warming up, we get more hours of daylight, and the kids are finishing up school. Which means– busy days lies ahead. The good kind of busy… catching up with friends and neighbors, hitting up the weekend BBQ, and ending the day together around the fire pit. 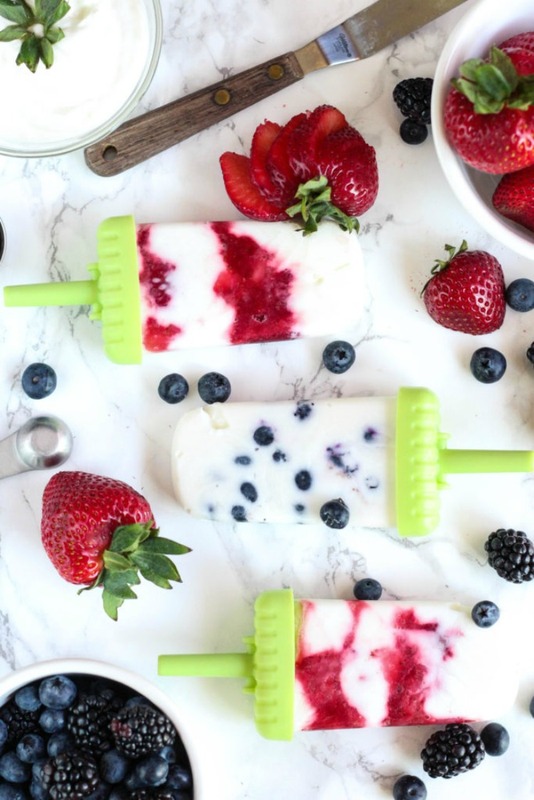 If you’re planning to gogogo all summer like us, you’ll love these easy fruit smoothie pops. Easy to make; they are a refreshing treat, straight from your freezer. All you need is Greek yogurt, berries, and a hint of honey. Freeze for 4 hours or overnight, and pop out on a hot, summer day! So refreshing! Love these easy fruit smoothie pops? Try these easy Orange Cream pops! Cool off this summer & enjoy these refreshing fruit smoothie pops, with an added protein boost! Mix yogurt and honey together in a small bowl, set aside. 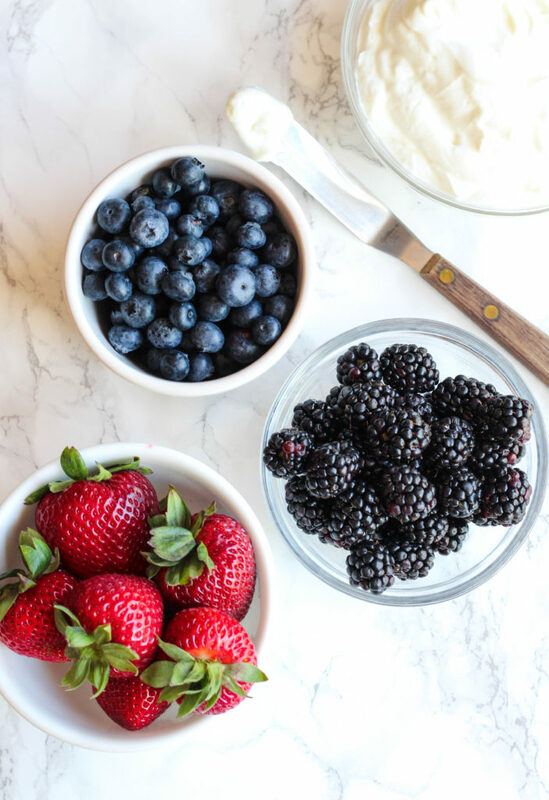 Crush some of the berries (each type separately), in a small bowl, with a fork. Freeze for 4 hours or until sold. Enjoy!